In my memories, the same guy always won dodgeball: Mikey. The interesting thing is that Mikey didn’t win because he could dodge. No, Mikey won because he could catch anything that was thrown at him by players big or small. And that’s where I learned a valuable life secret: catching every ball makes you a winner—every time. Just like the secret to dodgeball, the key to dealing with the daily inflows of computer and paper files within a business hinges on what you have at the core: your document management system. Frankly speaking, most systems lack the resiliency and flexibility to handle many of the balls that get thrown at them. Lucion Technologies envisioned a system that would manage documents from any source imaginable – with little to no customization. In their mind, it would just as easily serve documents back out to any destination imaginable. All inflows and outflows would be managed elegantly, with a highly usable interface in between – quite literally, the center of your files. And from this vision, Lucion’s flagship product, FileCenter, was born. 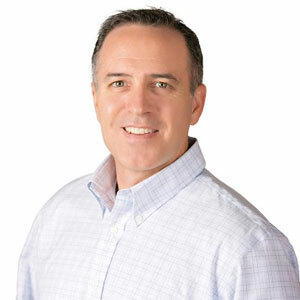 In my conversations with Jeff Pickard, CEO of Lucion, I got a sense for his vision of how FileCenter – a leading Windows-based document management solution that combines easy scanning with powerful PDF creation and editing – can help a company capture and manage all of the random balls it deals with in a typical day. It has almost become a maxim: document management requires a database. And seemingly every document management software provider embraces it—except one. It’s a pain point many companies have felt, like the CAD system that engineering had to abandon because the database couldn’t support it, or like the cloud solution that you can’t let management use, despite their weekly complaints, because it can’t reach their files. Lucion instead chose to use the native Windows file system for all document storage. This frees the repository to interact with any piece of software imaginable. And that creates possibilities for catching balls that topple other systems. Capturing inbound documents will make or break a system. Putting it another way, if a user has to go through a multi-step process on every single document to get it in the system, some documents will never make it. Why? Because not all users are willing to work that hard. According to Pickard, from the very beginning Lucion aimed to make document capture as seamless as possible. “We learned early on that users hate scanning. As a result, critical documents end up in storage boxes where nobody can even remember them, much less search them,” says Pickard. To combat this, Lucion studied the way users scanned, identified the speed bumps, and smoothed them out. “Users can file a document in the repository as fast as the scanner can pull it in. And with automatic naming rules, they might not even touch the keyboard.” For even more power, Lucion has developed a proprietary “separator” technology that will separate, name and route documents like a virtual filing clerk. According to Pickard, “From the moment the user starts the scan, it’s all automatic,” including naming the file based on OCR content. For an interesting exercise, check the personal Documents folder on your users’ machines. You might be surprised how many documents land there instead of in the repository. Why? Because it’s easier. Lucion realized that they had to make it just as easy for users to save into the repository. So, in Pickard’s words, “We got to work.” Months of R&D and years of refinement later, they have a technology that will capture the Save action of any Windows program, from accounting packages to CAD systems to Office apps to email clients to web browsers, and replace it with their own interface— without resorting to add-ins. The same technology that powers FileCenter’s Save integration also operates in reverse: users can open documents in the repository from the native Windows applications without any export or “checkout” procedure. The real frustration for many users, however, has nothing to do with opening files, it arises when they can’t access their files remotely. Pickard explains it like this: “With a database-driven system, cloud access can only happen through some propriety service, if at all. Having provided a way to handle all of the inflows and outflows, Lucion shifted its focus to creating an organizational environment that would click with users. "Users can file a document in the repository as fast as the scanner can pull it in. And with automatic naming rules, they might not even touch the keyboard"
Recognizing that PDF has become the de facto format for document archival, Lucion made the decision to integrate a full PDF editor right into FileCenter. “Why not?” says Pickard. “When users interact with PDFs all day long, why kick them out to a separate program? Every speed bump we can remove, we will.” That philosophy extends to in-place PDF conversions for many file types, the ability to email Office documents as PDFs, and the inclusion of a PDF print driver. Pickard brings up another pain point for many companies: old TIFF or image-based archives that can’t be searched. “A scanned image without OCR text has no more value than a paper copy sitting in a box.” So Lucion developed FileCenter’s sister product, FileConvert – a bulk OCR and PDF conversion engine designed to run on a server. While FileConvert and FileCenter can each function on their own, Lucion worked to ensure that they would operate even better together. For example, FileConvert shares FileCenter’s separator technology, meaning that FileConvert can route incoming documents into FileCenter locations. And while FileCenter can scan directly to searchable PDF, users work faster when OCR is saved for FileConvert to handle behind the scenes. What does the future hold for Lucion Technologies? “We don’t see ourselves as visionaries. We’re just perfectionists who get a great deal of satisfaction out of making refined tools that work. We don’t plan to change the way you work, we’ll just make it easier,” remarks Pickard. I expect Lucion’s offerings will make it easier on your IT staff at the same time. They already deal with enough thrown balls.